John Young signed photo of him standing on the moon during the Apollo 16 mission. 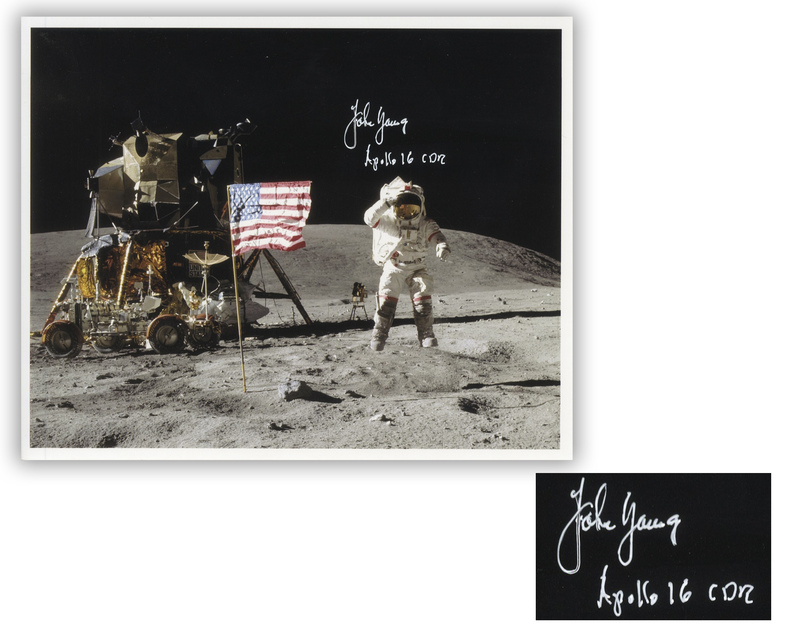 Young signs in white ink on the black sky, ''John Young / Apollo 16 CDR [Commander]''. Satin-finish photo measures 10'' x 8''. Fine condition. 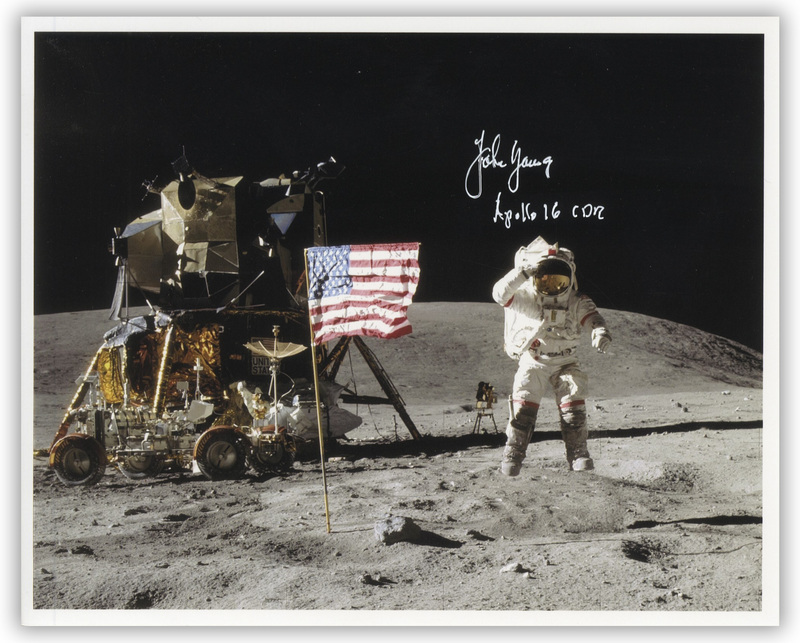 With a COA from Steve Zarelli.